The IRS announced a few days ago that it will close various “civil-side enforcement” overseas offices. positions from foreign-based to US-based. IRS remains committed, however, to servicing our expatriate community and meeting our international obligations. We believe these services can be provided by other methods. meeting the challenges of tax administration in a global economy. This announcement comes on the heals of further comments in December from senior Tax Division/Department of Justice attorneys that offshore tax evasion remains among the highest priority areas for criminal enforcement in 2015. The closing of IRS offices in important world centers that serve “normal” international taxpayers, while at the same time another part of the government (Department of Justice) continues to beat the “international tax evasion” drum, continues to send a bit of a mixed message. receive to mount a greater attack on the abuse. crime? What if the taxpayer has a duty to file a U.S.
themselves to easy answers under the law . . .
What is the 10 year “Collection Statute” and Why is it Suspended for USCs and LPRs Overseas? There are different periods of time the federal tax law sets forth to protect both the taxpayer and the government. In short, after a certain period of time (assuming numerous conditions are satisfied), neither (i) the government can take action to assess or recover taxes, or (ii) the taxpayer can demand a tax refund. This concept is known as the “statute of limitations” and is a concept deeply imbedded throughout U.S. law, not just taxation law. There are two key aspects for how and when taxes are levied by the IRS. First, there is the “assessment” part, which helps determine a tax is owing in the first place. There have been chapters of tax treatises written on how and when an assessment is valid. A tax return is a “self-assessment”. See, for instance, the CCH® Expert Treatise Library: Tax Practice and Procedure, and its chapter on Assessment and Collection. The IRS can also make an assessment through a so-called “substitute return.” See, How the IRS Can file a “Substitute Return” for those USCs and LPRs Residing Overseas. The focus of this post, is on the second aspect; the “collection” part of how the IRS collects upon a final tax assessment. There is a 10 year collection statute of limitations imposed upon the IRS. See IRC Section 6502. The general rule, is that the IRS cannot wait forever to collect against a taxpayer for the amount of taxes owing. If the taxes are not collected within this 10 year period, the general rule is that the IRS cannot continue to attempt to collect the taxes. However, there is a huge exception in the 10 year collection statutory law, which does not apply when the individual is physically outside the United States for a continuous period of at least six months. See, IRC Section 6503(c). This means that any USC or LPR residing predominantly outside the U.S. will have this 10 year collection statute suspended in favor of the government. In other words, the IRS will be able to indefinitely use its collection efforts to lien and levy assets of the taxpayer, when she is living outside the U.S. 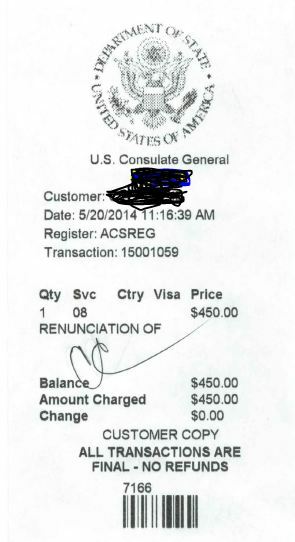 The only way to “re-start” the collection statute, is for the individual to travel to the U.S. and not stay outside the U.S. for more than a six month period. Obviously, for those who live outside the U.S., this will typically be impractical, if not impossible, to live several month continuous periods within the U.S. This entry was posted in Corollary Tax Consequences. At the end of the day, if the individual lives outside the U.S. and does not travel to and from the U.S., it may be practically very difficult for the IRS to collect on the tax judgment owing if the individual has no assets in the U.S. There are legal means and steps the IRS can take in an attempt to try to collect U.S. taxes on overseas assets.